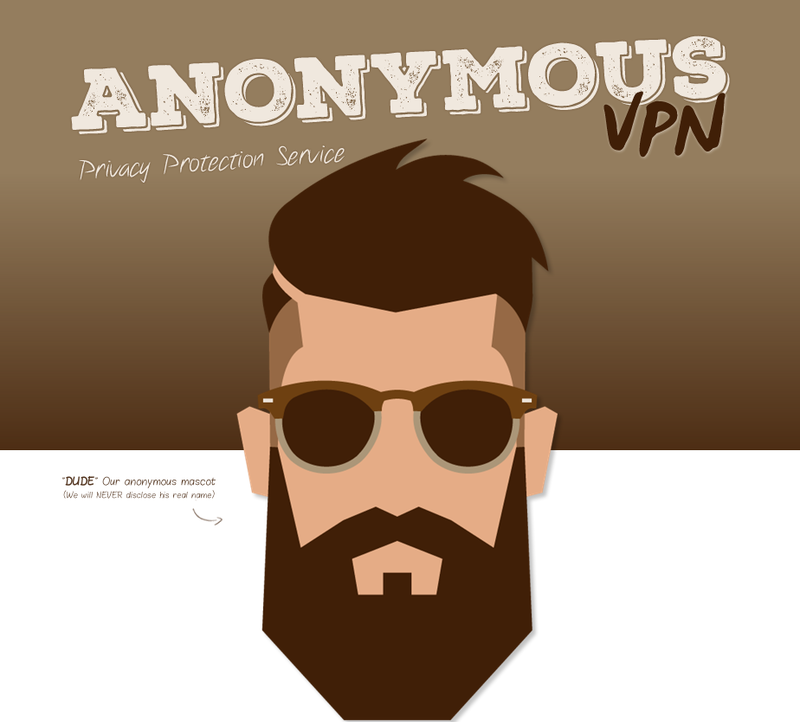 Anonymous VPN is a VPN provider that established itself in 2015 and has improved on its service ever since. Their official anonymous mascot is the “Dude,” the icon of their dedication to complete privacy, both for the customers and the company itself. Let’s take a look at what they have to offer beyond privacy (and we’ll test and review that too). When it comes to torrenting, Anonymous VPN publicly states they support torrents and P2P. As ever, it’s up to you to ensure what you’re downloading is legal, should your activities be discovered for whatever reason. If torrenting is important to you, here are some alternative VPNs that support torrenting. Sign Up Process: Simple stuff! In order to Sign Up to Anonymous VPN, you need to select one of the pricing plans available. Once you complete this step, you will be taken to the “Shopping Cart” page. Now, you’re able to create your account. 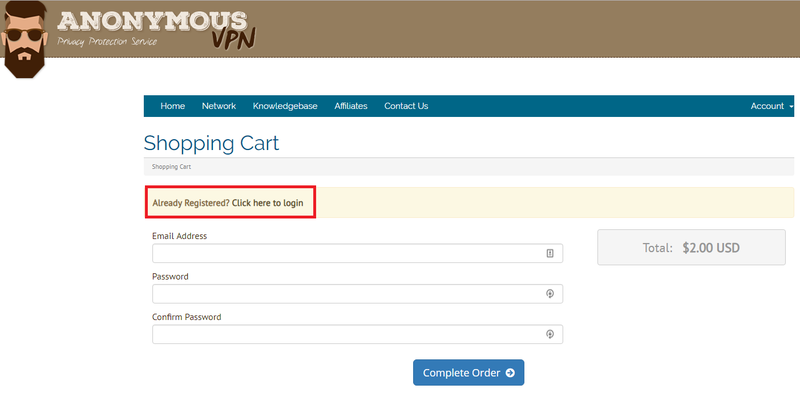 If you have previously used Anonymous VPN, you can simply log in to your account. If not, you need to fill out the signup form. The next step is the “Checkout” page on which you’ll provide your card details and subscribe to the service. The final step is the email confirmation. You will receive two emails; the first one contains your customer area credentials and the second one consists of your login info and links to downloading the software. Anonymous VPN’s response time with their ticket system is pretty great. In order to submit an open ticket, you first need to specify your inquiry. There are two particular options: Support and Sales. Both of them lead to a form you will need to fill out. According to our test, the average response time is half an hour, pretty satisfying for email support. According to customers, the support is available 24/6 instead of 24/7, meaning they do not provide answers on Sunday. We’d have preferred to see a live chat system – but this is sufficient, given its quick response times. 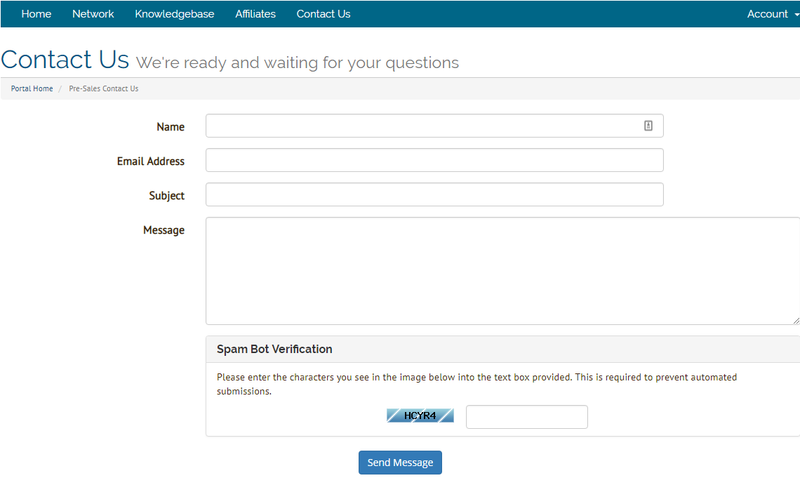 If you want to avoid the ticketing system and the non-instant response time, you can search for your answer in the knowledge base. 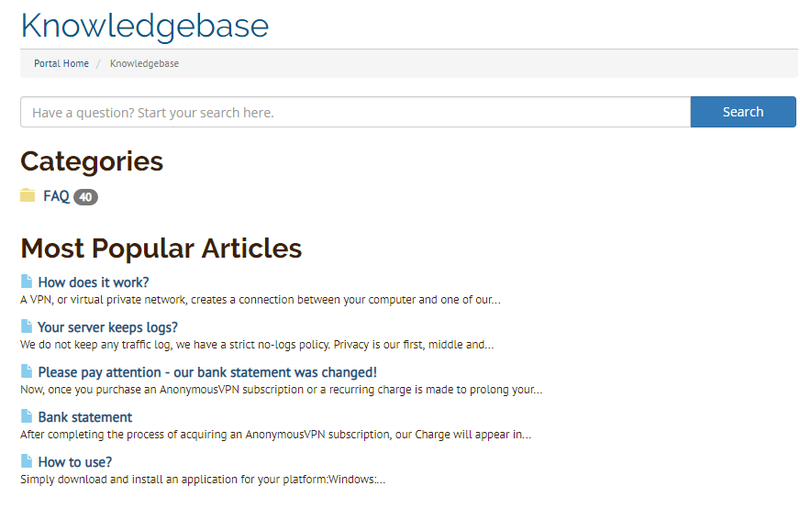 Anonymous VPN’s knowledge base is well-supplied. There are two categories in the FAQ Section: Billing and VPN. There are more than 40 answered questions and articles. You can search for almost any question, starting with logging policy, encryption and ending with the general use of this service. Anything we looked for, we found an answer to – we’re pretty pleased with the level of help found in the knowledgebase. When it comes to IP and DNS leaks, Anonymous certainly stands up to its name. According to our tests, Anonymous VPN hid the customer’s true location – nice job, Anonymous! Encryption and Protocols: We’re still safe here, no worries! Anonymous VPN offers 3 encryption options: Open VPN, L2TP, and PPTP. OpenVPN is the most secure and popular encryption method. Determined by the service provider, it can reach up to 256-bit encryption. L2TP is the second choice also offering 256-bit encryption. PPTP grants the lowest encryption security with 128-bit encryption but the connection ends up slightly faster than 256-bit L2TP. Kill Switch: Arm the switch, commander! Anonymous VPN does offer a kill switch – fantastic! However, once you install the Anonymous VPN, this feature is switched off by default, so make sure you activate it before you start browsing. In order to activate the kill switch, you need to open the settings of the app – located in the bottom right. This VPN client works only with Windows, macOS, and Android. Anonymous VPN offers limited compatibility, meaning the VPN Servers don’t work with certain operating systems or devices (Linux and Smart TVs). Customers are able to set up Anonymous VPN on a router. In order to set up your own router, you can visit their website and follow the provided guide in the knowledge base. Once you’ve logged into the software, the first thing you can adjust is the region that you’re connecting to. There are 2 possibilities: automatic server selection or choosing a particular server by yourself. You can change the features to your preference under settings. Here, you can choose a VPN Protocol (OpenVPN or IPSec), whether you want to enable your kill switch, etc. Anonymous VPN has a strict no-logging policy, which means that they don’t store your activity logs. So, in the case of a subpoena, this VPN provider won’t hand over your records for a simple reason – they don’t have them. Anonymous VPN stores the connection logs. This means they keep the information of which servers you have accessed and how much data you have downloaded through them. This means that in case of a deeper investigation by the law enforcement, you could be possibly exposed. Anonymous VPN network consists of 25 servers across the same amount of countries. The servers are mostly located in Europe. There are also servers in the US, Australia, and Africa. You won’t find any servers in South America, unfortunately. Overall? A disappointing offering – 25 servers are extremely weak, and they don’t even cover major regions like South America. Disappointing. The result from the US Server showed that our speed was reduced by almost 75% from the initial speed. When it comes to the upload speed, we clocked in at 32.48 Mbps. A significant drop in upload speed as well. The company points out the users who consume an excessive amount of bandwidth as the main reason for their lack of speeds. Consequently, there are not enough server resources for the rest of the consumers, which results in poor speed quality. Not to sound too brash Anonymous VPN, but isn’t it your job to provide adequate service to all your users? Anonymous VPN is one of the providers that do not work with Netflix. The results of a recent test that included various servers around the globe show that Anonymous VPN doesn’t facilitate Netflix. 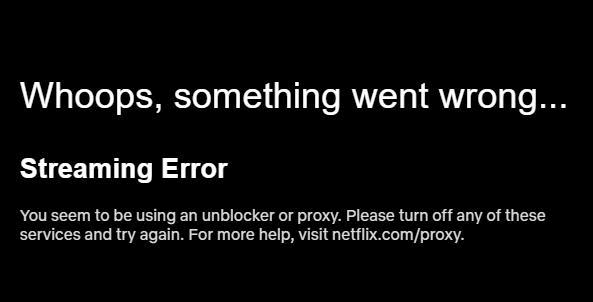 Netflix did not work on any of the servers we tested, whether in the USA or Europe. Fortunately, we’ve made a list of VPNs that do work with Netflix. The 3 Days Trial is perfect for anyone who likes to test this VPN and see if it is suitable for them. It costs only $2 and is fair offer you can use before committing to a long-term cooperation. Overall, their prices are a little higher than usual – this fits neatly into our cons, given the lack of quality service we’ve seen in terms of servers and speeds so far. Refund Policy: 14 days, and conditional? Meh. Anonymous VPN offers a 14-day money back guarantee both for the Monthly and Yearly Subscription. Note that you cannot get your money back for the 3 Day Trial. According to Anonymous VPN’s Refund Policy, there are a couple of conditions you need to fulfill in order to get your money back. Each term is clearly stated on the website, and the only way to get a refund is to contact the team via email. TL;DR – You must be a first time customer, have used less than 500MB, have not broken any rules and the request must be made within 14 days. Pretty restricted trial if you ask us – we’ve seen more generous offerings. A credit card is the only payment method you can use for purchasing a service from Anonymous VPN. This includes Visa, MasterCard, Discover, and American Express. So, no Bitcoin or PayPal. Eesh. We’re throwing this section in the con pile too. Anonymous VPN is based in the Republic of Seychelles, Africa. Now, you may be wondering what has this to do with anything. Well, Seychelles is a privacy-friendly environment which is far, far away from the eyes of spying agencies or nefarious government bodies! We like that in a VPN! All in all, Anonymous VPN has some value. The app has a nice, easy-to-use interface, with great encryption, a no-logging policy and pretty great features (e.g. kill switch). It quickly begins to fall short though; slow speeds, a severe lack of servers, 1 payment method, and no Netflix? Eesh, that’s a very hard sell at this price point. Our recommendation? Look elsewhere. There are better and cheaper options. Here’s our top 10 pick of the best VPNs.